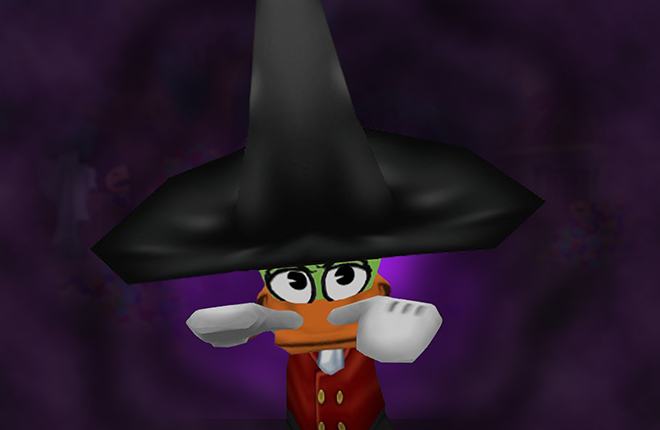 Happy Halloween, Toontown! Lord Lowden Clear of the Toon Resistance, here. The Toon Resistance has been watching the skies closely, and just as we suspected, those thirsty Bloodsuckers are planning a Mega-Invasion. To get a closer look at the situation, I deemed it necessary to grab my disguise and send in some bloodsucking bait. 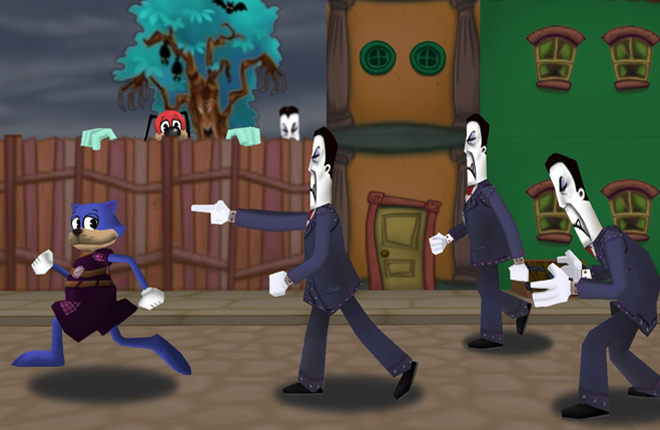 To no Toon’s surprise, those Bloodsuckers took the disguise faster than a mosquito in the summer heat! However, it seems that they are more ghoulish than we’d anticipated -- they’re putting up a good fight against our Resistance Rangers. We need YOUR help to bust out the garlic and wooden stakes to take those Bloodsuckers down! Toons, it’s time to take action. The Resistance Rangers have hit the streets, and enlisting the help of any Toon who is willing to help them take the Bloodsuckers down. You can identify them by the green icon floating above their head. 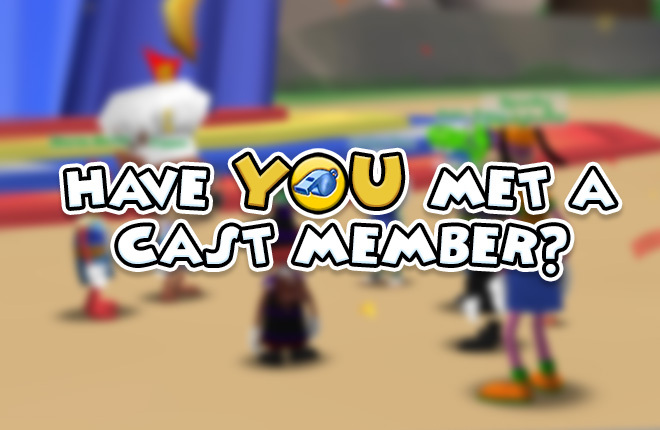 If you bump into one and fight valiantly enough, you may even receive a Toon Resistance uniform! For now, I need to get this Bloodsucker off of my back. He seems to think talking to me will lawfully raise his ranks in the corporate food chain. Until next time, keep them busting -- with laughter! Oh boy, am I excited! I can't wait, thanks TTR! Oh those pesky Bloodsuckers... always want to spoil all the fun. ...Well, we won't stand for THAT, right? C'mon, Toons, let's work together to save our town! I might be able to get my hands on a Resistance uniform for my other toon, Bebop McZap! Arrgh, mateys! Let's bust some cogs! Love love love the new color and I can't wait to be a black cat again!! Also can't wait for the resistance outfits :). Time to bust out the old uniform! (blows on uniform) ah... good times. Time to bust some point teeth! Hopefully I get to keep the suit, last time I lost my sellbot suit somehow. I ain't afraid of no bloodsuckers! I'm coming to help Rangers! Hang in there! I got my uniform today! I met Silly Boots at Punchline Place in Thwackvile! Woo! Resistance uniforms! Let's do this! OHHHH HECK YEAH! Can't wait to find some resistance rangers and get that sweet suit! :) Good going TTR! Sir i will not let you down! Hopefully i can help out with the fight! 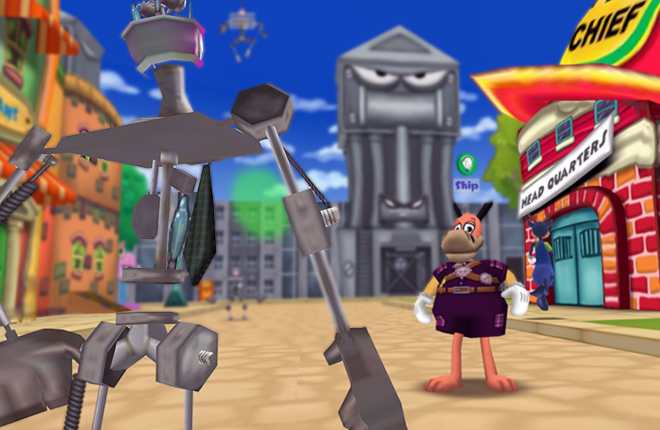 I wont stop till all of ToonTown is the toons once agian! Just got my Toon Resistance uniform! So hyped! I, a fellow Sellbot Crusher, will help fight the Bloodsuckers off. Did someone say "Happy Halloween" ...? Time to get back into this awesome game with a black cat! Ranger suits? WOW that sounds pretty cool to have! YES!!!!!! Lets rid those Bloodsuckers! They can't ruin our Halloween tonight. Happy Halloween, Toons! Its time to Bust these Bloodsuckers Up! Is this the only way to get a ranger suit? Oh no! 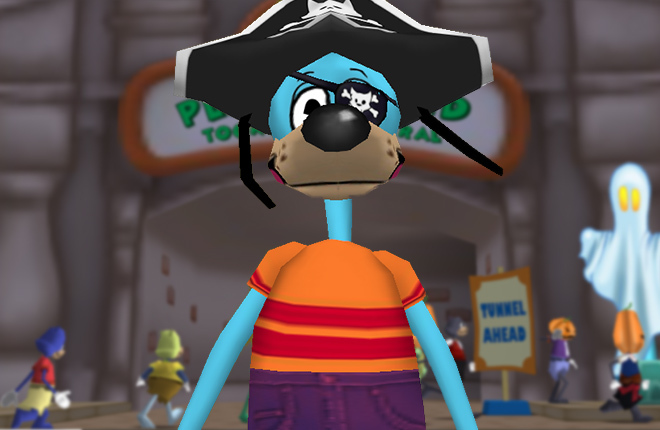 I will save ToonTown for you! Oh dear, looks like I need to tell the girls to fight those evil robots! They can save ToonTown! I'm going to help! A superhero always help to save the day! COOL! I need to try this! I'm going to defeat those robots! Count me in! A superhero can help to save the world, I can destroy those evil robots. Who Invited Skelecogs to Supper? Have a Hauntingly Happy Halloween!